What is Clone My Sites About, a $1000 per Day Scam? | Quit That Day Job! You are here: Home / REVIEWS / avoid / What is Clone My Sites About, a $1000 per Day Scam? What is Clone My Sites About, a $1000 per Day Scam? Clone My Sites is a website claiming you can earn $1000 per day, doing almost nothing, by copying their site. 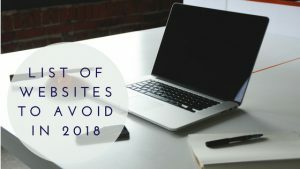 There are numerous negative reviews of this website which we will call CMS to make it short, but you still need more information about this website. I am glad you landed on my site to give me the chance to offer more information to you. After reading my review, you will have the necessary information that you are craving, and I hope will enlighten you regarding CMS. Is Clone My Sites a Scam? CMS is a platform owned by a guy named Jake which claims you can earn $1000 by doing almost nothing and by just copying their site. What a convenient way to make money online isn’t it? Well, I am sorry I have to burst your bubble because it is not true at all. CMS is just a clone of Profit With our Sites. So they are offering you to copy their websites, and CMS and Profit with our Sites are cloning their websites as well. They must be in the cloning business, once and for all. Before we hit the final nail on this series of cloned websites, we will talk about how they work to give you more information. Jake mentioned in the sales video that for $37, you would get everything they have on offer. That statement alone has enough holes to make their site labeled as a scam. Why? On the latter part of the video, he mentioned Jake promised he would take care of all the necessary things for you to make money using his system. It includes Web Design, PPC Advertising, List Building, and HTML. Wow! That’s a great promise but can he fulfill it? No way! The web design he mentioned is not really about designing a real website. CMS and Profit With Our Sites are not even full websites. They are just landing pages. Ok! So what they will offer you are just LANDING PAGES! To tell you the truth landing pages like ClickFunnels and Leadpages cost a lot of money and they have a recurring monthly payment. So the $37 is way too low to cover these tools. We go to the next promise which is Jake will cover PPC advertising. Landing pages will not rank in Google search engine because it has thin content. 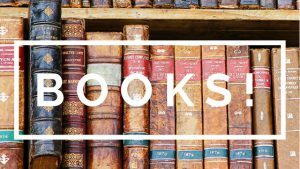 Only websites like mine which you are reading by now will rank in Google search engine because I have hundreds of pages. Landing pages will only have one or up to maybe five pages. See the difference? The main reason why you found this page is that I rank on the Google search engines when you search for CMS. Then you clicked on my link, and you landed here on this page. You are my free organic search engine traffic, yes totally free. In online business, no traffic means no business. So how will CMS cope up with getting traffic when they can’t rank on Google? Paid traffic by Pay Per Click or PPC advertising. Watch out. This advertising is the most costly part of the whole campaign. PPC is when you pay the search engines like Google (Google Adwords) or Bing (Bing Ads) to put your landing page on the first page of the search engine search result so people will see your landing page. 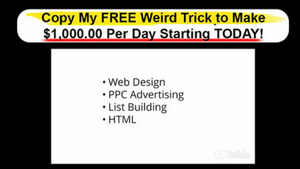 Now, let’s say you need a thousand visitors a month to your landing page, and if we use the average cost of $.50 per click, you have to pay $500 per month on traffic alone, and I am getting it for free. Click here to learn how I rank on the search engines. Now let’s got to the next which is List Building. The term List Building used by Jake is email marketing. It is a well-proven method of making money online. It involves asking people to join a mailing list which could be used for marketing. Once people are on the list, products can be promoted to them through their emails. You will have to use Autoresponders to make your email sending process is automated. Autoresponders like Aweber and GetResponse cost money, and they have a recurring monthly subscription payment. Aweber, which I am using costs $19 per month to start, and it will go up when you have more subscribers. As you can see by now, the $37 will not cover Jake’s claim of providing these services. Let’s move on to the next topic, so you know the other things to have to watch. The only logical reason why they have to clone a site is to lure more people to join them. It is also a strategy that once their old site gets a lot of complaints and negative reviews, they will close it and here they are in a new website which they claim is brand new but a rehash of the old site. As I have mentioned earlier, this is pure hype and BS. Pay Per Click will cost you a lot of money. The claim of $1000 per day earning without doing anything is BS. The $135 earnings you are supposed to get while watching the video in five minutes is another BS. I keep mentioning Jake’s name but it is just a fictional name as the real owner of this site is hidden. 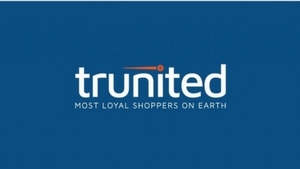 Even though ClickBetter offers a 60 Day, no questions asked refund policy; they have in their refund policy a statement that says if the original account is closed, they cannot issue a refund. CMS could use this as a loophole to deny you a refund. CMS is acting like an opt-in form to capture emails. Do not use your main email in signing in as they might use it to spam you with all the promotional materials that they can think. Thay can also sell your email to other third-party entities. The earnings claim of $1000 per day is purely BS and hype. 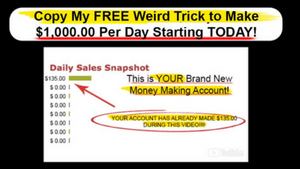 Jake’s claim of opening you an account and five minutes later you have earned $135 is one of the most misleading claims I have heard in my years of doing online business. It is evident that nobody gets paid here. The price to join is $37. The red flags and inconsistencies on CWS are more than enough to call this a scam. They offer no value to the readers, and they use misleading strategies to lure people to join. As with Profit With Our Sites, I do not need to join to dig deeper. The video says it all. It actually implicates them. It is easy to spot that this website is a scam and you do not need to be an expert to do that. If it sounds too good to be true, it certainly is and you have to be careful with any shiny objects you find online. The internet is full of scams, and there are already hundreds of them that I have reviewed. Having said that, some websites are legitimate and have the objective to help you start an online business. If you are tired of scams like CMS, I suggest that you do online business with your website. I mean a real website. It is easier to build a website these days as there are proper training available online. When I started, I do not know about building websites and running an online business. Now I am doing online business full-time as I have already quit my job as an aircraft mechanic. 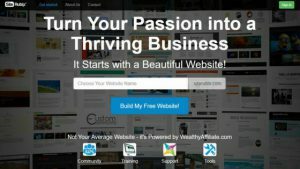 I built this website myself, using the training I have from a community of over 1.4 million online entrepreneurs willing to help each other. The training they provide is the best in the world. 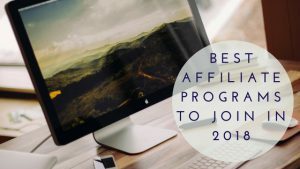 It is always updated, and the community is always there to answer your questions and guide you when you get stuck in any phase of your online business. 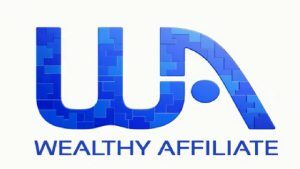 If you are interested, you can join for free without credit cards, and you will get two free websites. It is of your benefit so that you can see it for yourself if it is for you. Click here to learn more about this community and this business. 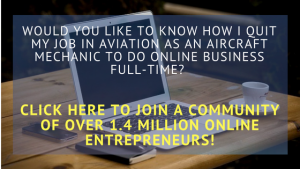 Feel free to post comments, contact me using the "Contact Me" form on the right or subscribe to my email list using the form below to know how I changed my life from being an Aircraft Mechanic to a Full-time Online Entrepreneur. 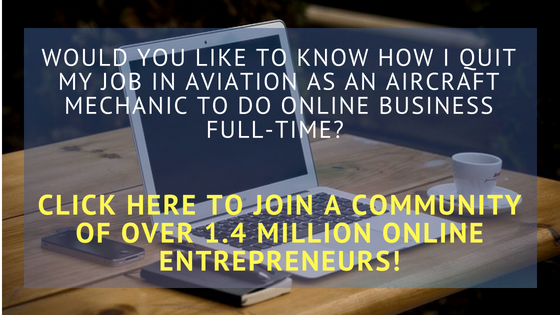 Subscribe to Know How I Changed my Life from an Aircraft Mechanic to a Full-time Online Entrepreneur. I am Den and I am the owner of this Website. 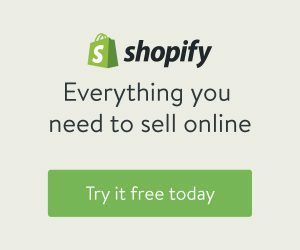 I finally quit my job in Aviation to do my online business full-time. I love doing this online business as I love to help people quit their day jobs to do the things they really love. 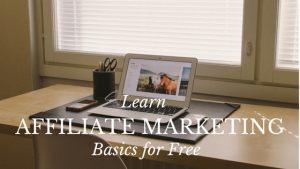 You will mostly find me hanging out at the coolest site to learn online business.